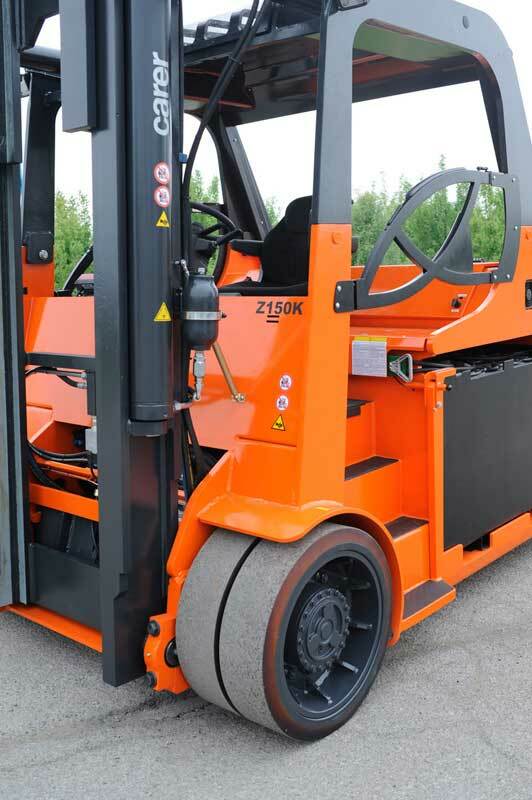 Made with Vulkollan tyres to ensure a capacity of 33,000 lbs. 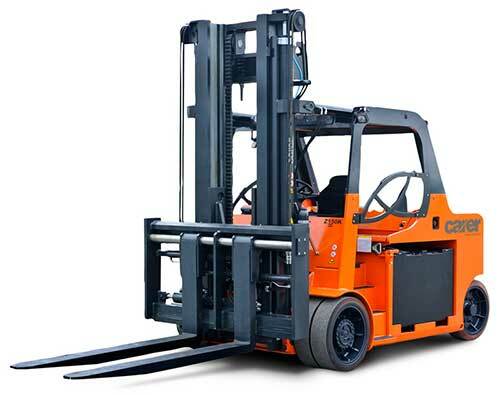 with an extremely compact sturdy frame, this forklift truck is the ideal solution to handle heavy loads in closed and confined environments. The position of the batteries, between the axes, ensures an extremely low center of gravity, all in favour of stability. The lateral extraction of the battery allows for quick safe battery changes. The driver’s seat is well designed, spacious and easy to access. A practical handle and two wide steps make it easy to reach the driver’s seat. 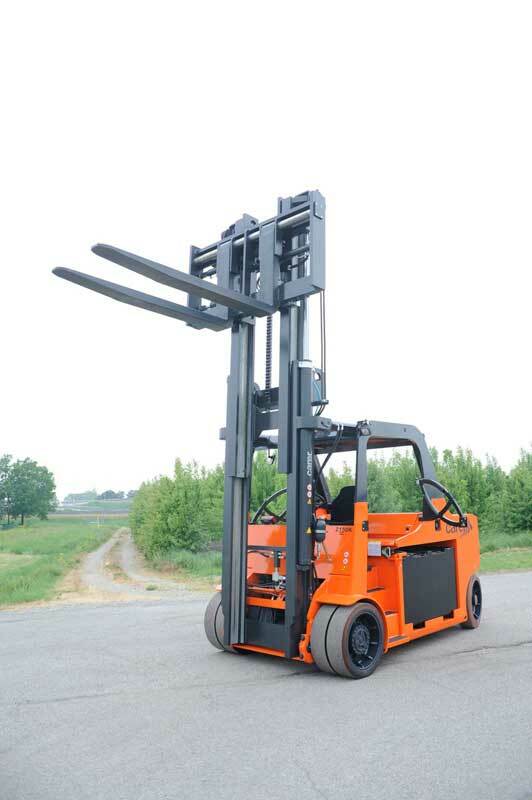 The controls and instruments are arranged perfectly respecting the ergonomic sizing requirements. 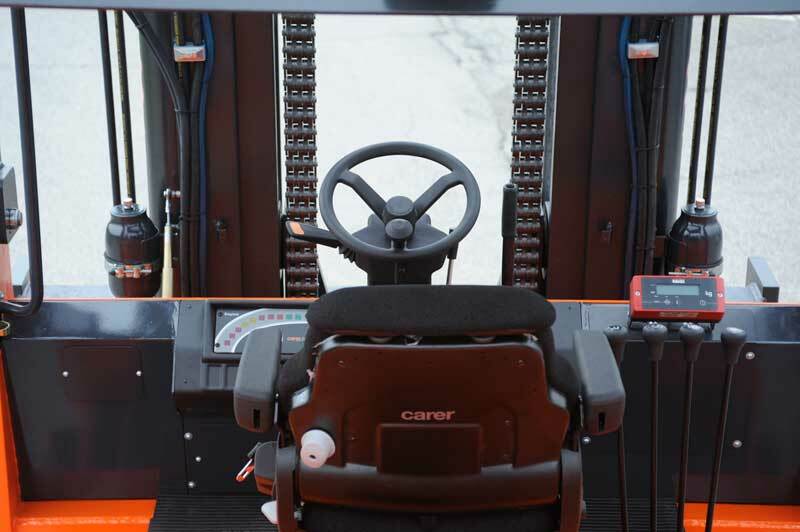 The central driver’s seat allows for perfect visibility in every direction. 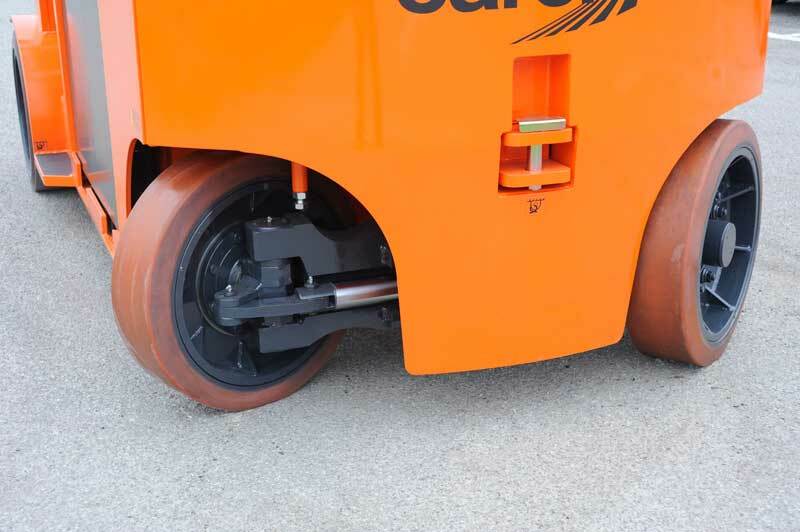 Carer’s high-performance electric motors are powerful and performing. They have been specifically designed for heavy-duty use thanks to Carer’s ability to make the most of the latest electrical technology.